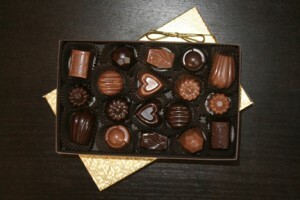 PLEASE NOTE: These truffles were available from February thru May in 2012. 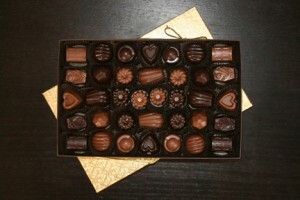 Special orders can be placed for flavors not currently available, but they must be purchased in bulk. Please contact us for further information. 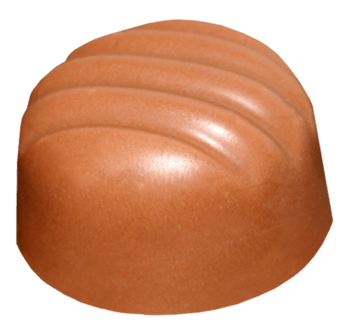 Did someone say, “chocolate-dipped banana?” This scrumptious truffle combines bananas, lightly salted fresh-roasted almonds and chocolate into one nice package that will take you back to the days of being at the county fair. 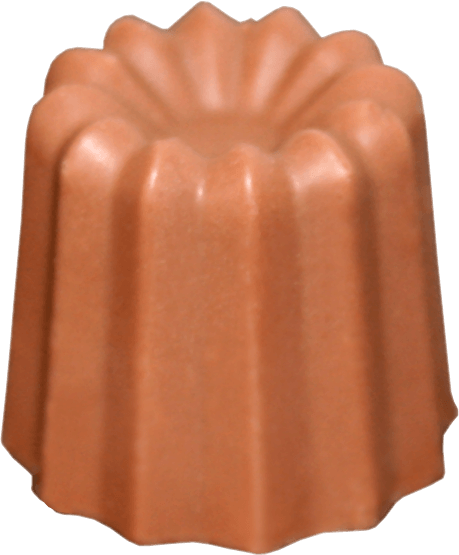 This sensuous treat combines sweet red cherries with our rich Belgian chocolate. 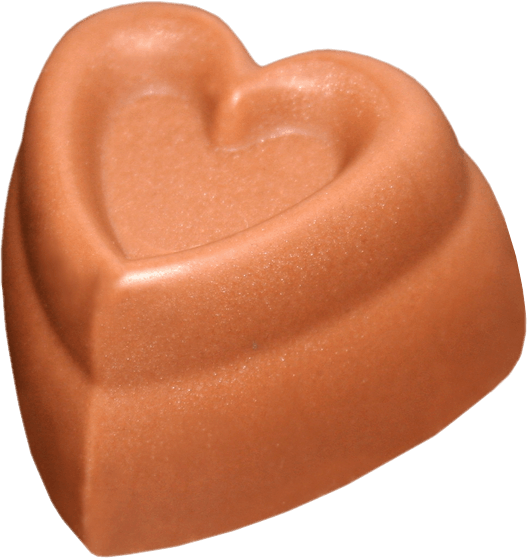 This heart-shaped truffle is perfect for Valentine’s Day and Mother’s Day. 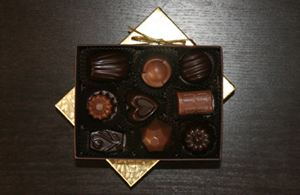 Looking for a chocolate fix? 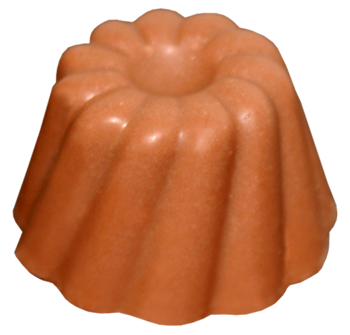 This wonderful truffle combines our fresh made mousse with our chocolate ganache. 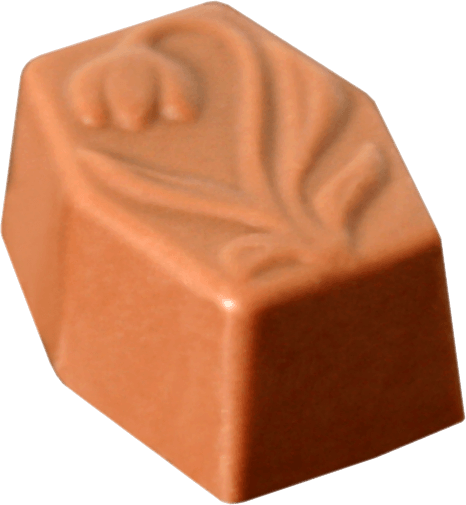 This beautifully balanced mouth-watering treat combines a wonderfully floral South Pacific honey which we infused with lavender. This is a true lemon experience. 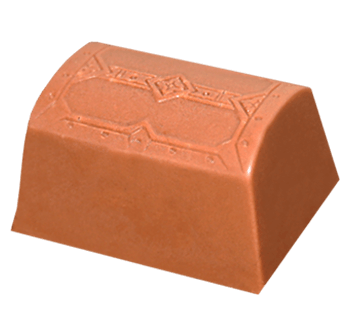 Made with locally harvested fresh lemons, enjoy the sweet and tart aspects of this wonderful fruit sealed in a milk or dark chocolate shell. Enjoy the bakery without all the calories. 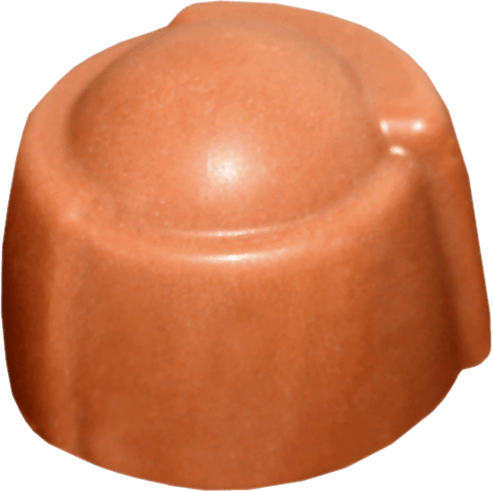 This truffle fills your mouth with that rich buttery cinnamon sweet goodness you know and love. Combine the sweetness of orange with the dark rich flavor profile of Guinness beer, without the alcohol, and you’ve got a taste sensation that will leave you wanting more. Forget that pistachio ice cream. 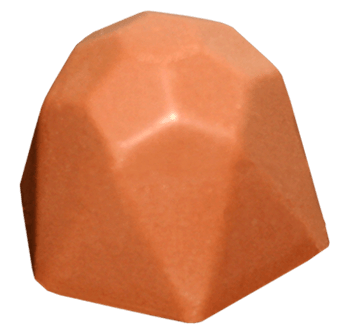 This truffle provides that intensely rich pistachio flavor you’re always looking for, but don’t ever seem to find. We also added fresh dry-roasted pistachio nuts to complete your experience. 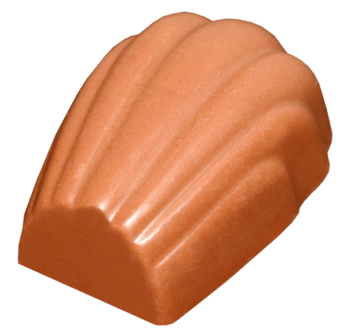 This intensely flavored truffle is so packed with raspberries that the chocolate ganache has a reddish hue. Combine this with your favorite port for an even greater experience.